Cecily Kellogg wrote this piece in June 2009 after the death of Dr. George Tiller. It’s become hauntingly relevant again after Wednesday night’s presidential debate. In October of 2004, I was pregnant with my sons Nicholas and Zachary. With great joy and expectation, my husband, my best friend, and I visited my doctor for a normal growth ultrasound. I was nearly 23 weeks pregnant, hovering at the start of the third trimester. Within moments, it was clear something was wrong; one of the boys was still and had no heartbeat. When I met with my doctor, routine screening revealed the worst: The symptoms I’d been experiencing that I thought were normal with a twin pregnancy were actually evidence that I was sick — very, very sick. I was immediately admitted to the hospital with severe preeclampsia, and though my doctors tried mightily to slow the progression of the disease, by the morning of October 27 a group of doctors stood at my bedside and delivered the worst news I’d ever received. I was in advanced kidney failure. My blood pressure was skyrocketing, and it could not be controlled with medications. My liver was beginning to decline. The horrific headache I was experiencing could no longer be treated with pain medications, because they were afraid it would depress my ability to breathe when I began to have the seizures they expected at any moment. I would soon likely suffer a stroke or a heart attack. In other words, I was going to die unless the pregnancy was terminated. Immediately. There was no hope for my surviving son. He was too tiny and too frail to be viable. With my dangerously high blood pressure, a C-section would have likely caused me to bleed to death, and inducing labor would have stressed my system too much. My safest option was the procedure known as an intact dilation and extraction. It would save my life, and preserve my future fertility. 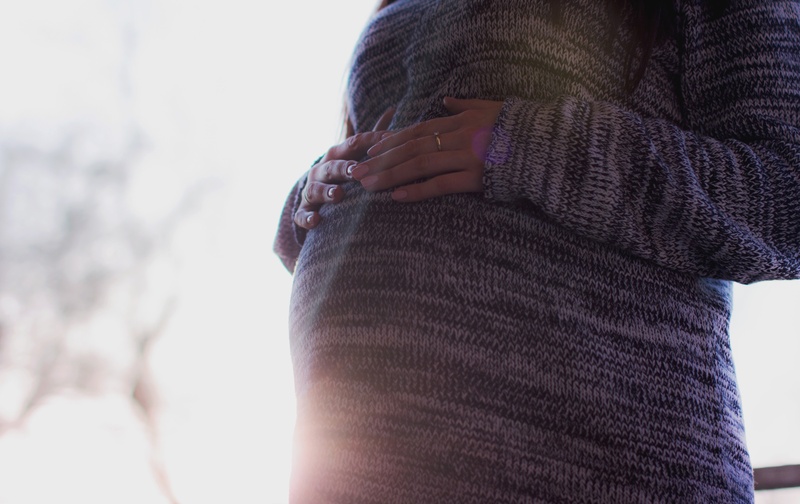 As luck would have it, my obstetrician happened to be one of three doctors in the Philadelphia area who were both trained and willing to do the procedure. Within an hour of receiving my bad news, I lay in the surgical suite, covered in tubes and wires, weeping inconsolably as the doctors tried to offer comfort as they prepped me for surgery. After I came home from the hospital, grieving, I searched and found other women like me, women whose lives were saved by the late-term medical termination of a pregnancy. I also met women who chose to spare their children from agonizing health conditions and birth defects by having an abortion. What I learned is that we are rare — only 1.1 percent of all abortions are performed after the 21st week of pregnancy, and doctors only perform them in cases of extreme medical need. Dr. George Tiller, an abortion provider who was assassinated at his church for his profession, never performed a late-term abortion without counseling the parents and getting a second opinion from another doctor. My doctor described the day of my surgery as the worst in his professional career. With the help of other women like me, I grieved. I healed. I tried again, and in June of 2006, my wild and fierce daughter Victoria was born. As I healed, I came to realize how lucky I was. Yes, I said lucky. This was in 2004, before the Partial Birth Abortion Ban Act became law, and my doctors were able to move quickly to save my life without worrying about breaking the law. My doctor knew the procedure and was willing to perform it, something that has already become rare and will be rarer still if doctors have to put their lives on the line to perform this life saving medical procedure. If it’s you or your daughter, will you be so lucky? Cecily Kellogg is a freelance writer living outside of the Philadelphia area. She has blogged about her experience at www.uppercasewoman.com. Copyright (C) 2009 by the American Forum 6/09. This post was originally published on American Forum.